LEC's Translate SDK is a powerful, extensive, and cost-effective language translation software development system. 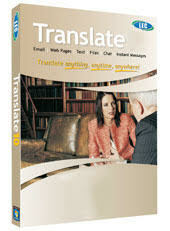 It is used by OEMs, system integrators and corporate developers to develop translation applications and services. LEC provides unparalled support for your development. Access to specialized dictionaries is included using Magellan Pro; you can create your own content-specific dictionaries. Translate SDK uses SOAP to communicate with LEC’s server farm. Translation requests are sent and returned in XML for maximum compatibility with your application. Babylon used LEC's SDK to offer translation to its customers. ProQuest used LEC's SDK to offer translation to their subscribers (educational institutions, libraries and businesses) around the world. Mitre used LEC's SDK to integrate translation with their instant messaging application (TrIM). TrIM provides critical instant messaging in multiple languages for military users. Contact us for assistance in setting up the best plan for your development and implementation. We usually respond within the same business day.